The last time I stayed at the Harding Hotel was November 1998. Delayed by fog at Luton airport we only just made it to the hotel in time to watch Teeton Mill win Newbury’s Hennessey by 15 lengths. There were eight of us then and for reasons I can't recall we were all on the winner. Only four of us this time and no race rush. This is a very good three-star hotel and I don’t know why it’s been more than 17 years before staying here again. It’s in a great location. Plus it has its own pub: Darkey Kelly’s. 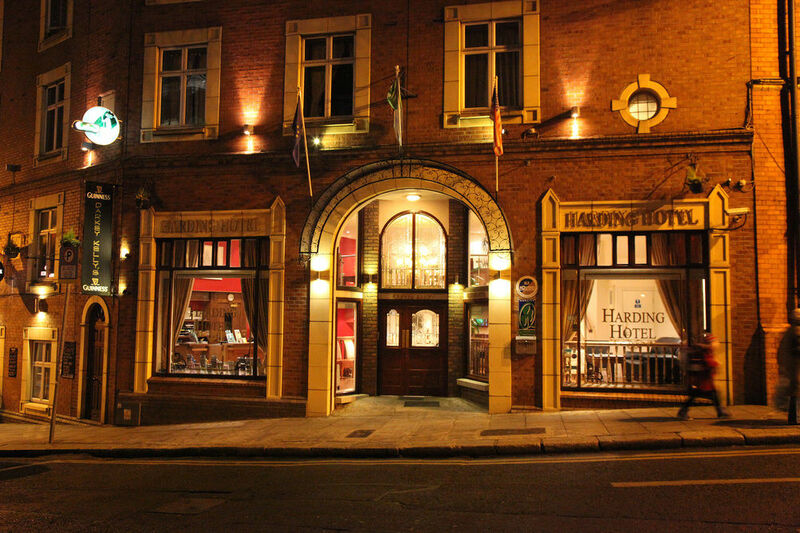 Incredibly it's ranked 1st of 189 pubs in Dublin by Trip Advisor. I’d disagree with that accolade as I can think of a half-a-dozen better pubs but when you only have to walk downstairs to get there it's very convenient! Plus you can’t hear the live music in the bedrooms. For Friday night we'd booked tickets for a classical concert at the National Concert Hall (nch.ie). This would reduce the intake of Guinness for the evening as we had a couple of hours live music ahead of us to keep us from the pubs! The highlight of the evening was Rachmaninoff's third symphony. We had terrific seats four rows from the stage. Tickets were just 15 euro each (13.5 for concessions). This is a fabulous venue situated just off St. Stephen's Green. The repertoire here is mainly classical of course although other music genres do feature from time to time. Worth checking out what's on when you are visiting Dublin. 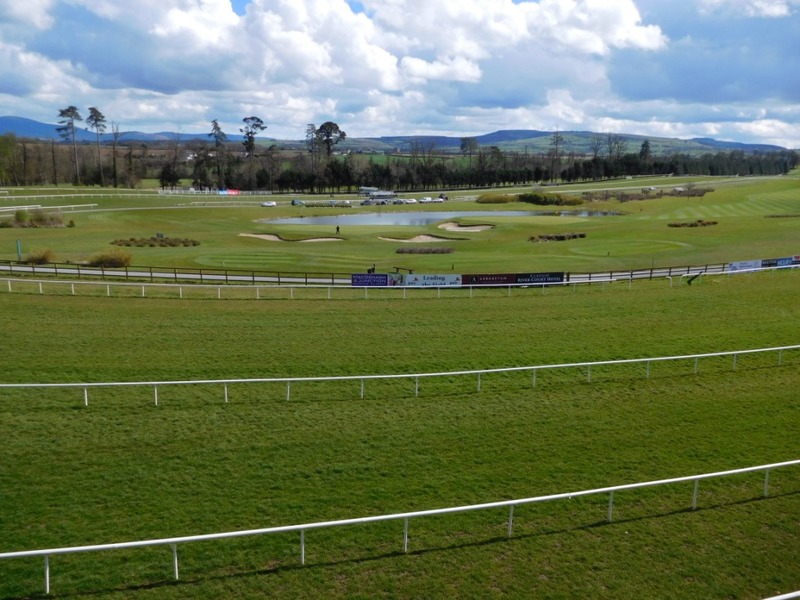 Despite Gowran Park being waterlogged in places earlier in the week racing went ahead. Heavy ground would be a serious consideration for winner finding at both the weekend fixtures. Gowran provides a free courtesy bus to the track from Kilkenny which is eight miles away. That's the easy bit. First we had to take the train from Dublin Heuston. This is normally a 90-minute journey but was just over two hours because of rail maintenance taking place on some weekends. Unfortunately it meant half the journey was by a replacement coach service. You can argue a strong case for staying in Kilkenny overnight rather than commuting from Dublin. 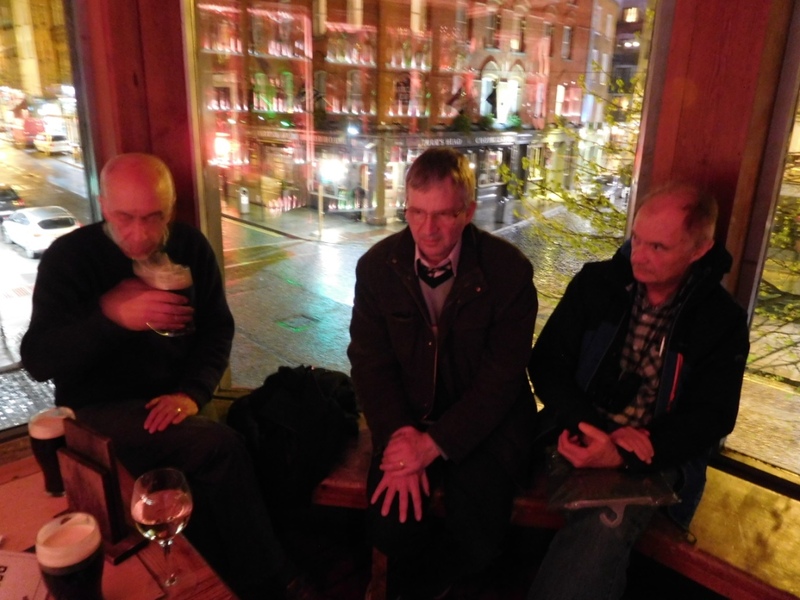 Kilkenny has plenty of good pubs! The courtesy bus was at 12:20 and the train arrived Kilkenny at 12:15. Easy eh? Well no because the bus starts from outside the castle at least half a mile from the station. So we ran there - through the snow flurries! The card wasn't much of an inspiration. Just 52 runners in seven races. 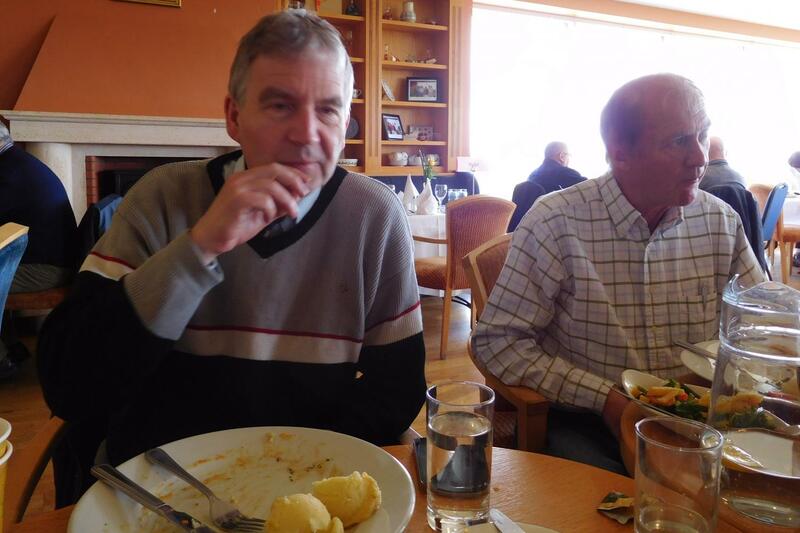 We were hungry after the long haul so we went looking for food. The value was the bar adjacent to the rooftop restaurant. We must have chosen right as there was a certain D. K. Weld lunching at the table next to us. Very few punters were at the track so no problem keeping our table all afternoon and watching races from the balcony. We were happy to eat and drink and just have a handful bets. Couple of winners, in particular Niven which won at Limerick in similar ground just two days earlier. I won enough on the day to cover expenses (travel, admission and lunch). 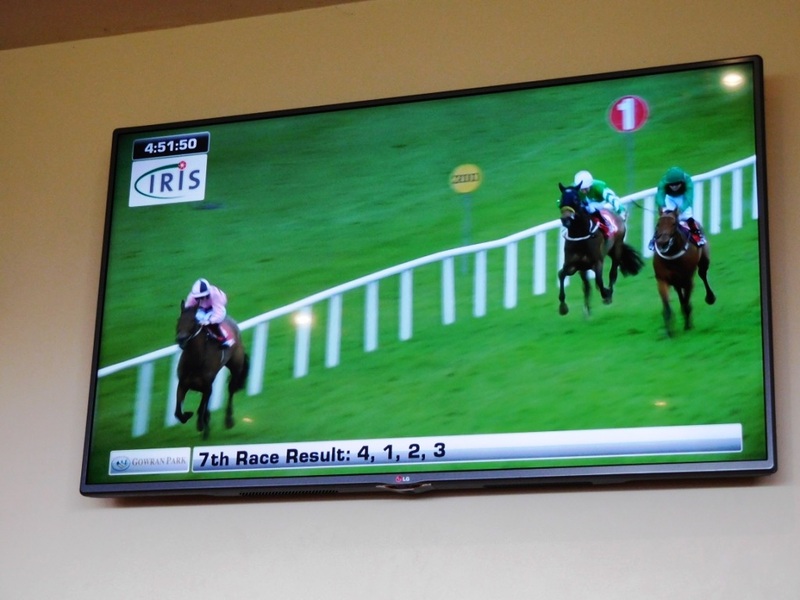 After racing finished there was live transmission of a well-known handicap chase from Aintree. My main bet here had been The Last Samuri each-way at 12/1. What a great ride David Bass gave him. Must admit I was out of my seat as they jumped the last! 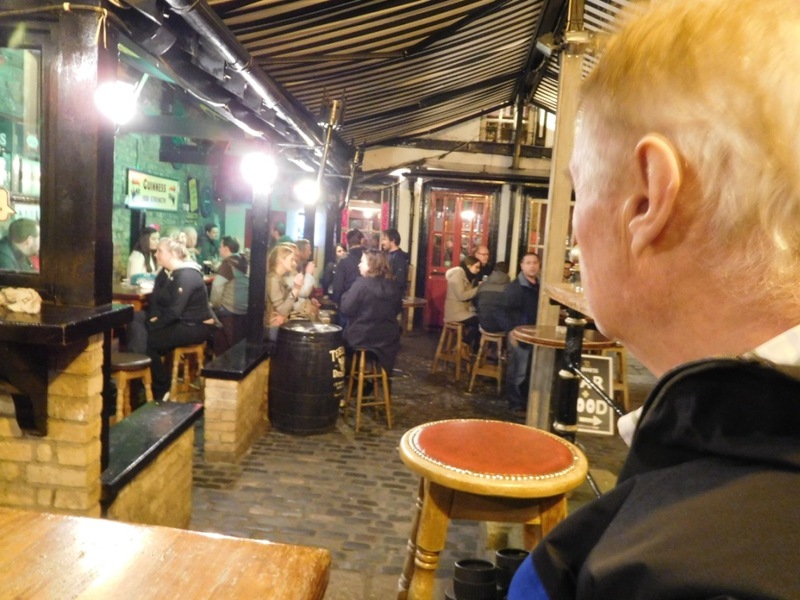 Back to Dublin and a stop-off at Ireland's oldest pub - The Brazen Head - not far from our hotel. 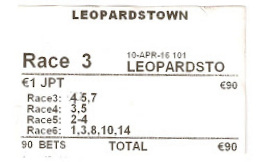 The Leopardstown journey was much more relaxing than Saturday's marathon. Just a 22-minute tram ride from St Stephen's Green to Sandyford. Followed by a five-minute courtesy bus to the track. 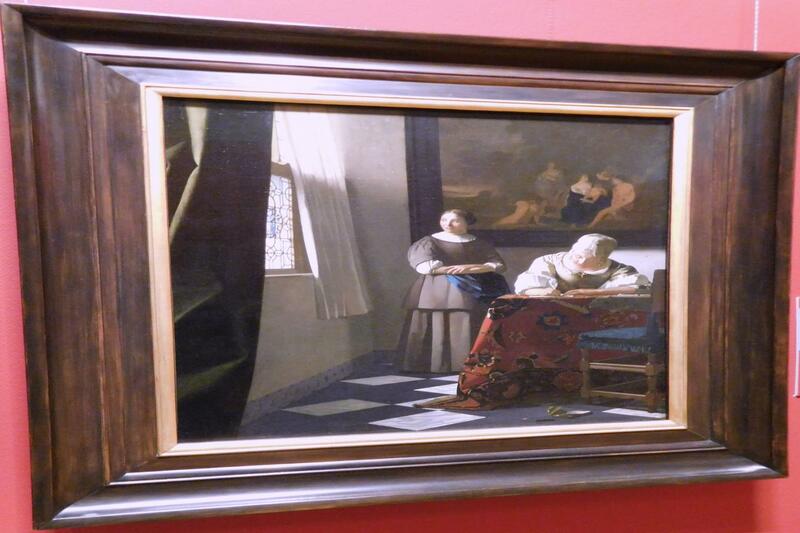 Therefore plenty of time to hit the National Gallery for a bit of (free) pre-racing culture. My highlights: the Caravaggio, the Vermeer plus the five or six Jack Yates' pictures on display (rotated from their collection). 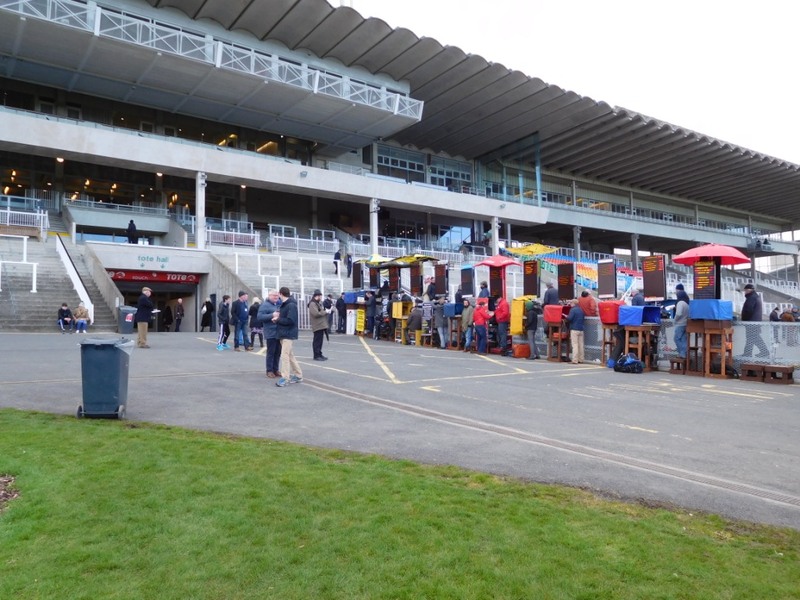 Although the quality of racing was much higher the number of runners and the attendance wasn't dissimilar to Gowran. Talking of Vermeer we were looking forward to Johannes in the 2,000 Guineas trial but he didn't run. Hence with the second race reduced to a four-runner the Placepot became an interesting proposition and we submitted our perms. Got the shock in the second we were hoping for and we were on target going into the final leg: we were fourth beaten a s.h. for a 392.30 dividend! The four-leg jackpot was also in-play. I like this bet when the fourth leg is clearly the most difficult as was the case here. 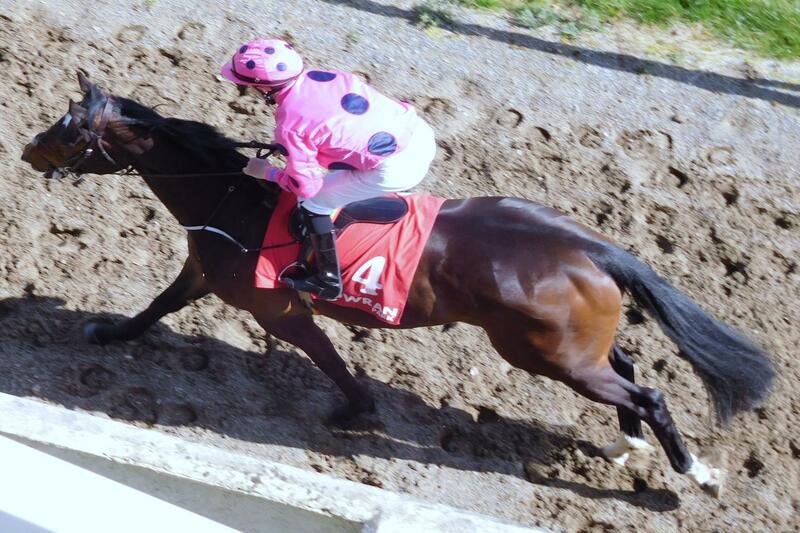 I concentrated on soft ground performers with a 3-2-3-5 perm for 90 euro staked. Winning legs included a double for D.K.Weld (following his treble at Gowran). 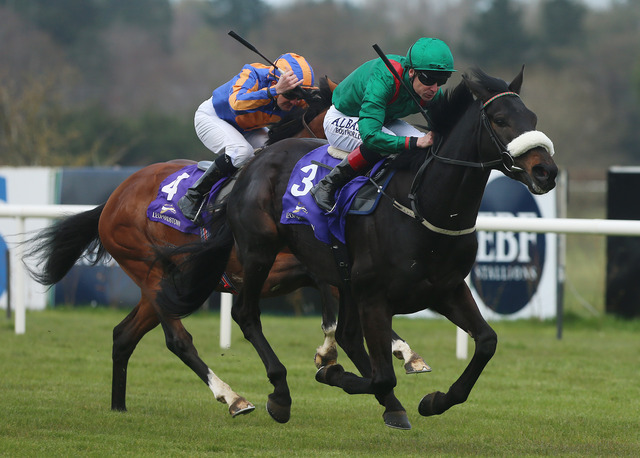 His Harzand earned a 20/1 quote for the Derby. The jackpot paid 454.90 whereas the S.P. equivalent was 312.00. It had been heavy going for the horses but easy going for us. Two winning days for me culminating in the jackpot. Oceans of seafood at Davy Byrne's followed. 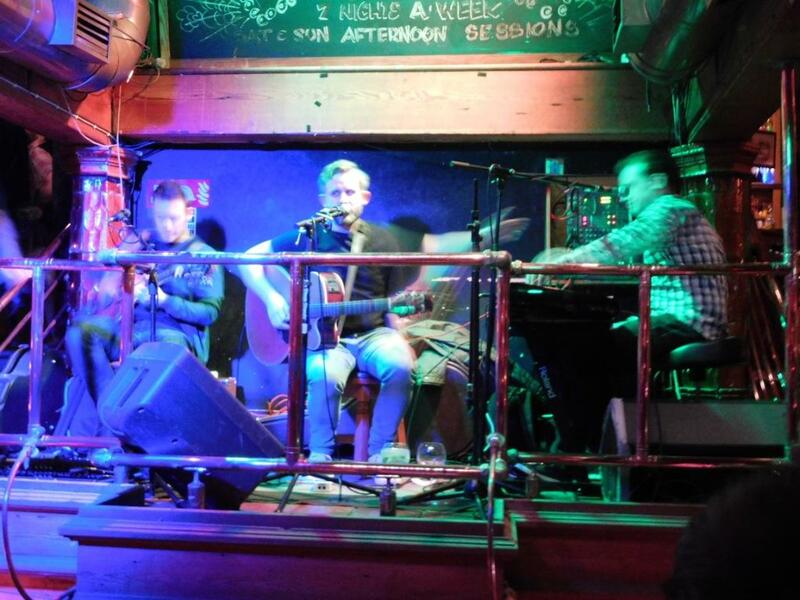 To bring the weekend to a close it was Temple Bar for a few pints of Porterhouse's Oyster Ale accompanied by excellent live music. 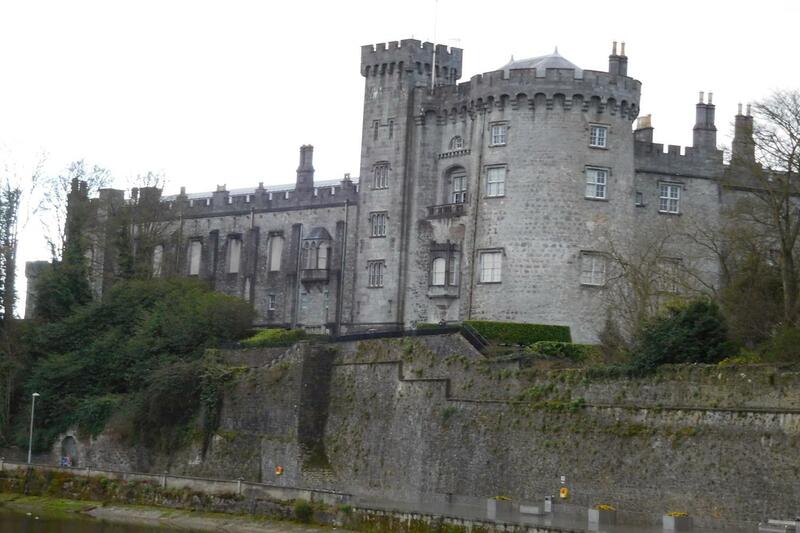 Kilkenny Castle: where's the race bus? 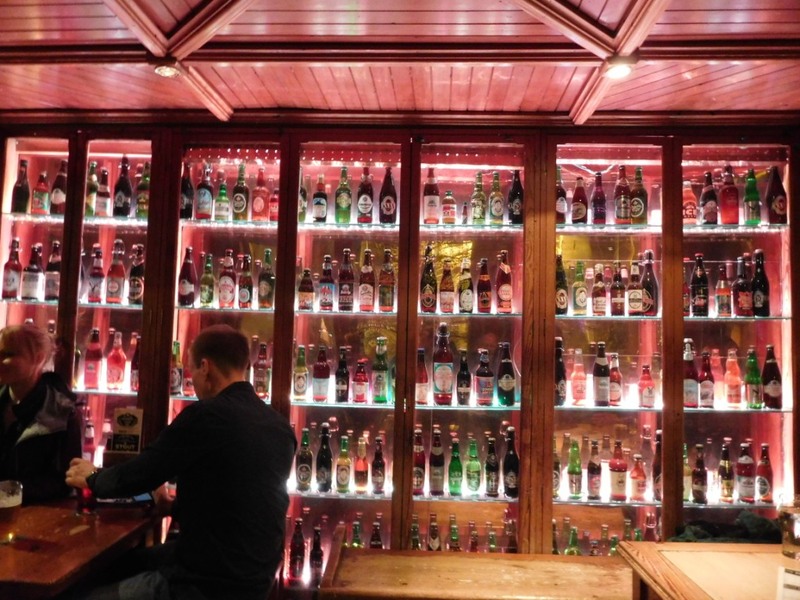 The excellent Brazen Head, Dublin. Has an outdoor no-smoking area!